Inter Milan are interested in signing Mesut Ozil, according to reports. The 30-year-old is struggling to find a regular starting berth in Unai Emery’s team and was benched for their trip to Bournemouth last weekend and did not take part in yesterday’s 4-2 win over Spurs due to reported back spasms. The Sun claim Inter are among a few clubs who could offer the £350,000-a-week star a way out of the Emirates if things continue the way they have been. It’s highly unlikely that Ozil will remain at Arsenal until the endo the season, but sources say he may consider his options beyond that point. Ozil signed his new bumper deal almost a year ago to stay with the Gunners until 2021 when Arsene Wenger was in charge. 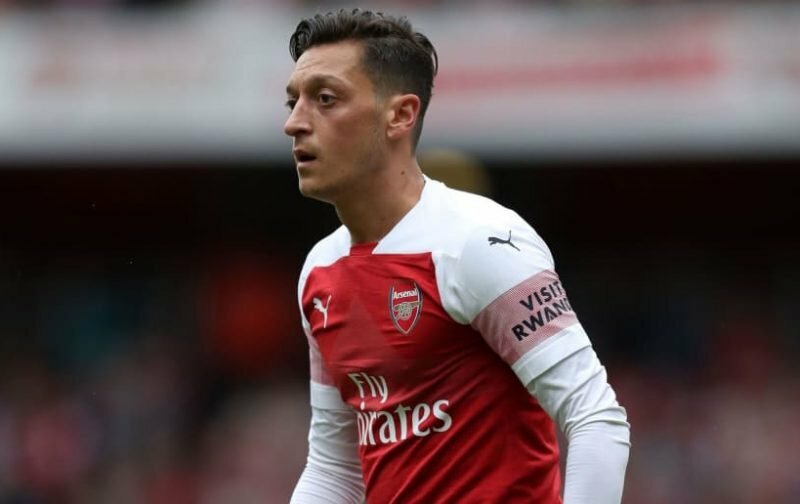 However, since the appointment of Emery, Ozil has been questioned by the Spaniard over his work-rate and physicality during matches this season. The former Real Madrid midfielder’s wages will make it difficult for Arsenal to move on, but nothing can be ruled out at this stage. Arsenal could cut their losses with the German before his contract expires, giving the club an option to replace him with a player who could add more value to Emery’s squad.